The Book of Kells, described as "the most beautiful book in the world", is an book of Gospel that dates from the eighth or ninth century. 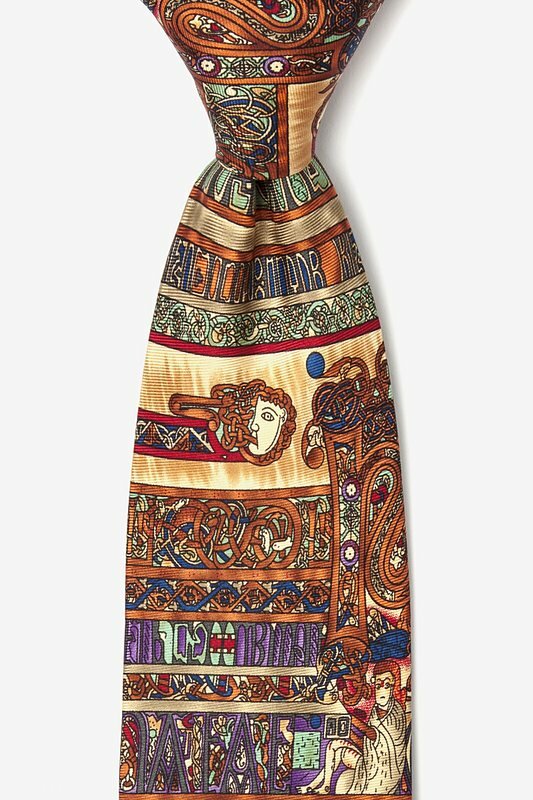 For the studied historian o... read more The Book of Kells, described as "the most beautiful book in the world", is an book of Gospel that dates from the eighth or ninth century. 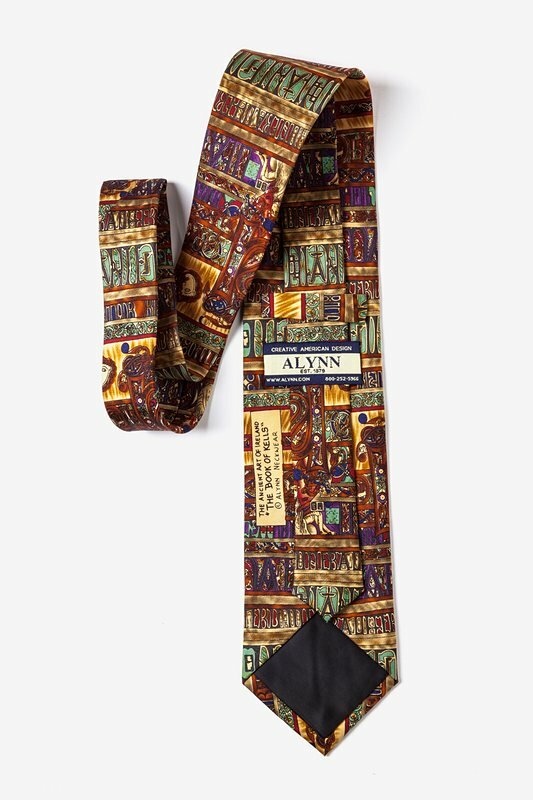 For the studied historian or the religious scholar, this Alynn Neckwear tie reproduces in exquisite detail a segment of the intricate and creative text and imagery on a colorful 100% silk necktie.